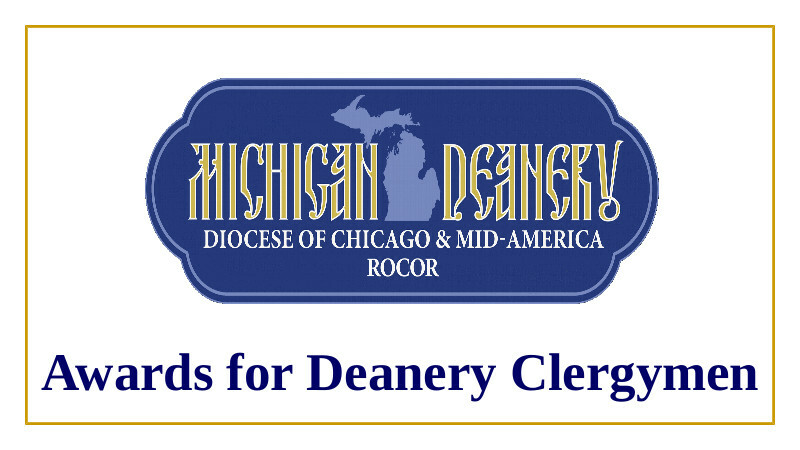 Congratulations to our Michigan Deanery Clergymen who received awards at the Diocesan Assembly Divine Liturgy on June 16, 2018 for sincere and diligent service to the Holy Church! Archpriest Victor Trotskyy was awarded the right to wear the jeweled cross. Hieromonk Alexander (Reichert) was elevated to the rank of Igumen with the right to wear the palitsa. Priest Michael Carney was elevated to Archpriest. We ask your prayers for these and all our clergymen - that the Lord would strengthen them in their service to His people!